Fans of the spy-drama The Americans know that currently, one of their plotlines involve the US government’s covert efforts to aid contra rebels in Nicaragua. The show-runners and the writers of the show wanted someone to consult with regarding the scandal, and that’s where Oliver North comes in. See, Mr. North, a former Marine Corps lieutenant colonel, National Security aide, and a center figure on the Iran-contra scandal is connected with the Fox network, FX’s mother network. North is a Fox News personality and the host of its War Stories program. When The Americans wanted a reliable source, Fox suggested Mr. North and he has been involved in the writing of a show and was given a story credit. The April 23 episode where Philip and Elizabeth Jennings infiltrated a contra training camp was brimming with realism thanks to detailed and colorful information from Mr. North. However “close watchers” of history have disapproved of North’s involvement with the TV show. They are saying that a man with such notoriety should never benefit from his involvement with the scandal. His sudden resurfacing has caused a minor controversy and risked opening political wounds that have not healed after three decades. Although Mr. North basically doesn’t care of what his detractors say, he knows that he has made his bed and that he is willing to lie in it. “Look, I’m a right-wing goon — everybody knows it, right?” North said during an interview from the New York Times. The “close watchers” of history are appalled by North’s continued attempts to wash his hands in his role in the contra scandal. “Everything that happens in history in this country eventually winds up as entertainment,” Mr. Wieseltier said. According to Mr. Wieseltier by capitalizing on the scandal scandal, Mr. North is utilizing the latest incarnation of “a very American story” in which “you become notorious, and your notoriety makes you famous, and fame is the American version of glory,” Mr. Wieseltier said. 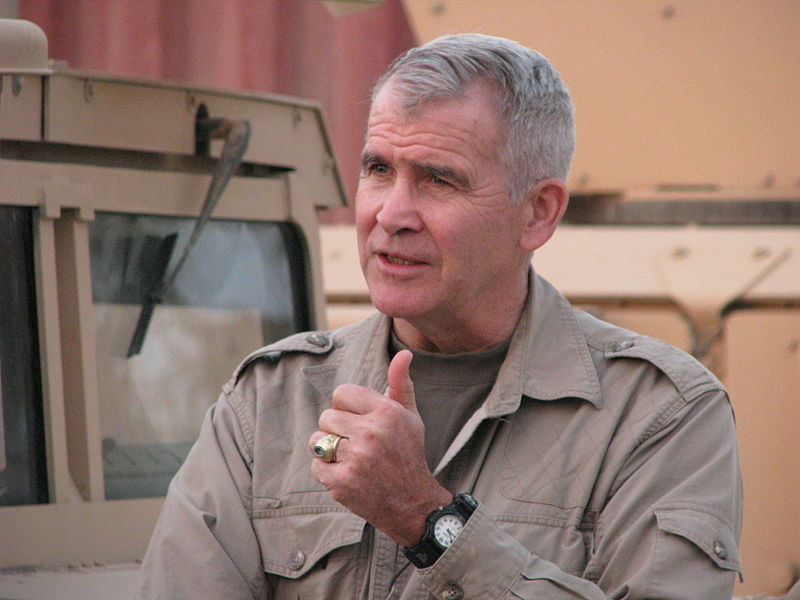 Oliver North was convicted in 1989 of crimes for his participation in Iran-contra. He was convicted of destroying evidence and abetting the obstruction of congress. These convictions were later suspended and all charges were dismissed. Mr. North then received limited immunity for testifying before congress.